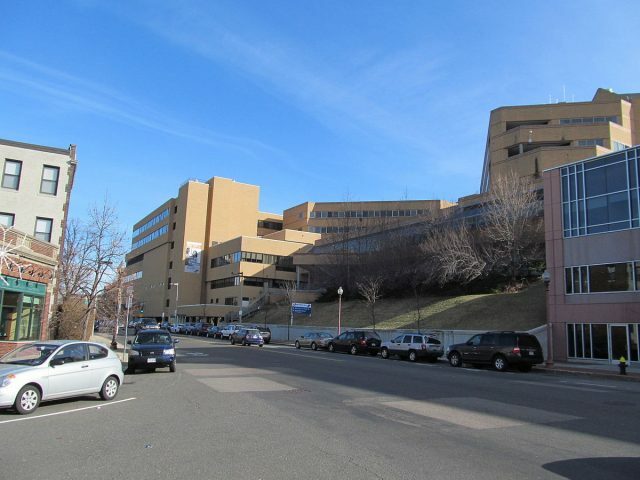 St. Elizabeth’s Medical Center, a teaching hospital of Tufts University School of Medicine, is a community-based, 252-bed tertiary care hospital in the heart of Boston’s Brighton neighborhood. Founded in 1868 by five laywomen members of the third order of St. Francis to care for women from Boston’s South End, today St. Elizabeth’s is a full-service teaching hospital with more than 600 physicians who teach 166 residents and dozens of fellows in 15 training programs. an Emergency Department with one of the shortest wait times of any hospital in the state. As a member of Steward Health Care, the largest fully-integrated community care organization in NewEngland, St. Elizabeth’s is focused on providing world-class health care close to home and many of their physicians have offices in Brookline or in nearby communities. If you are in need of a new primary care physician, St. Elizabeth’s 24-Hour Promise guarantees that you can get an appointment with one of their primary care physicians within 24 hours. You can contact Doctor Finder at 1-800-488-5959. St. Elizabeth’s is proud of the spiritual care services it offers to patients and visitors. Rooted in its affiliation with the Roman Catholic Church, its Spiritual Care Department offers counseling services for all different ideologies, religious or non-religious, and for all patients and their families. St. Elizabeth’s opened Boston’s first Bikur Cholim room, a dedicated space designed to accommodate observant and Orthodox Jewish families’ customs, including kosher dietary laws and Shabbat. St. Elizabeth’s consistently is recognized for providing the highest quality care. In 2012, Truven Health Analytics (formerly Thomson Reuters) named St. Elizabeth’s as one of the Top 50 Cardiovascular hospitals in the country – the only Boston hospital to earn this distinction. St. Elizabeth’s earned an A for patient safety from the Leapfrog organization, and more than 30 of their physicians were named to U.S. News and World Report’s Top Doctors List. St.Elizabeth’s can be reached by “T” or bus and offers plenty of on-site parking for a nominal fee.